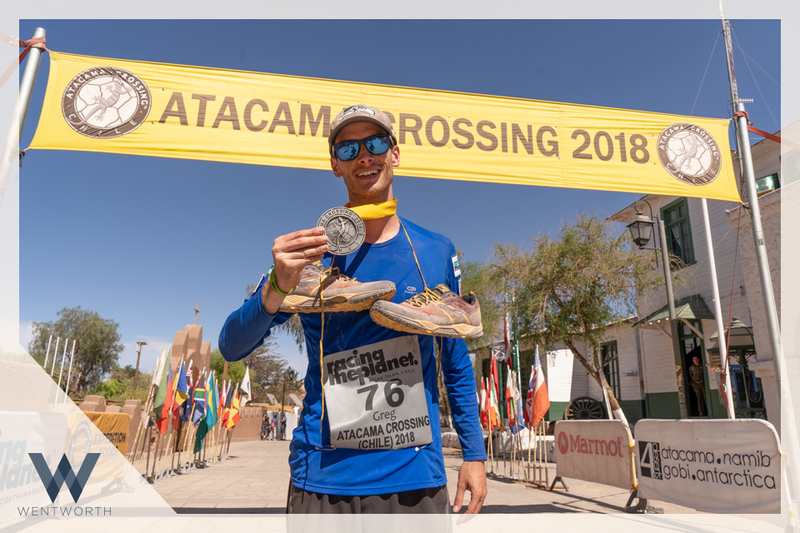 109 runners gathered at the starting line of the Atacama Crossing, a 155-mile ultra marathon across the world’s driest desert. At an elevation of 10,500 feet, I felt the thin air with each chilled breath. I blew into my hands in a futile attempt to warm numb fingers before tightening my ruck sack, loaded with 20-pounds of mandatory gear I’d be hauling. Butterflies pulsed as the race director announced one-minute to the starting gun. I’ve learned that the moments immediately before the starting gun can be the most challenging. Voices of self-doubt creep in and we second guess our preparation. We worry about our gear and we think of all the things that can go wrong. Once the starting gun cracks we’ve made our choice to take the first steps. It’s liberating because we’ve now committed to the mission ahead. We’ve taken the leap. Any goal worth achieving will present obstacles. 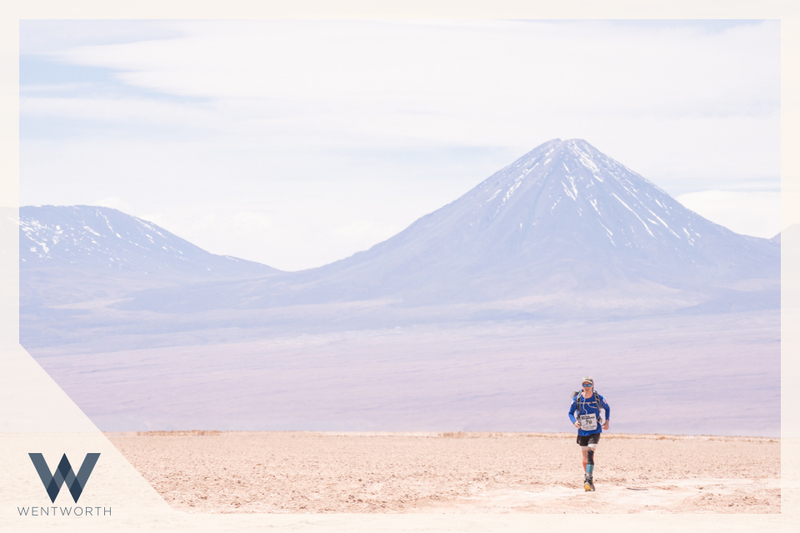 Striding off the Atacama start line, my numb fingers and toes gave way to an awful altitude headache. I closed my eyes and hoped the vertigo would pass because the parched Chilean terrain required my full attention: rock shards in dried river beds lurked waiting to break an ankle. I watched my feet and carefully navigated fields of razor brush and stunted roots. The varying angles and textures taxed tired legs as leg-shearing brush ripped flesh. After crossing several knee-deep Andean streams, frigid from glacier melt, numb toes and feet plunged onto the notorious salt flats. Reminiscent of giant barnacles, I leaped from one salt crystal to the next. Now onto towering sand dune slopes. Each methodical step brought more lactic acid until legs began rebelling. Was grateful for the ensuing flat sand fields and hard-packed earth until I learned at a checkpoint that we had passed hundreds of tarantula nests. Unsettled, I picked up my pace as the sun rose high in the sky. We then climbed from the Valley of Death floor into the high hills. I was getting barbecued by an increasingly fierce sun but kept trekking upward. Traversing a long rocky ridge with loose debris and sheer drop-offs prevented any consistent tempo. The sun became an unrelenting inferno and I felt my core temperature spiraling out of control in the 116-degree heat. Desperate for shade or cool water, I was broiling in Dante’s Inferno. White sweat stains snaked across my blue jersey but no droplets on my arms or face — the Atacama is far too dry. My Camelback, infused with cherry-flavored electrolytes to replace lost sodium, was now piping hot and revolting. Heat exhaustion set in fast. Dehydration headache and lethargy indicated I was badly overheating. No shade or streams so the only option was an electrolyte bath. Sprayed my neck, back and chest with the sticky fluid and prayed it would be enough to cool me down. And it barely was. Lumbered into the next check point and was greeted with encouraging words and an absolutely invigorating ice spray. Rejuvenated, I set out, ready to battle the unrelenting heat once more. Every step becomes a humbling reminder of the Atacama’s sheer scale and surreal splendor. Overwhelmed, I focused on my next breath and my next step, the only things I could control. I found my pace and dialed in, muttering “one more step – one more step,” an impromptu mantra to guide me forward. With such simple focus I found a rhythm. The desert course is brutal for everyone so relentless forward motion helped me reel in one runner at a time as I methodically covered the 155 miles. Crossing the finish line 15th overall and as top American was sweet and surreal. I thought back to all those early mornings, long training runs, shin splints and blisters. The euphoria of reaching our finish line reminds us that the journey is the reward. Whether passing sun-capped volcanos, running alongside the Ancient Inca Trail, or gazing upon the brilliant night sky, we realize that our path to the starting gun prepared us for the obstacles ahead. Crossing the Atacama reminds us that independence is a journey. For more training and World Marathon Challenge updates, follow @GregRunsFar and @WentworthWMS on Instagram.